And because it is Monday and because it is the first day of the week here it comes a cozy working atmosphere. 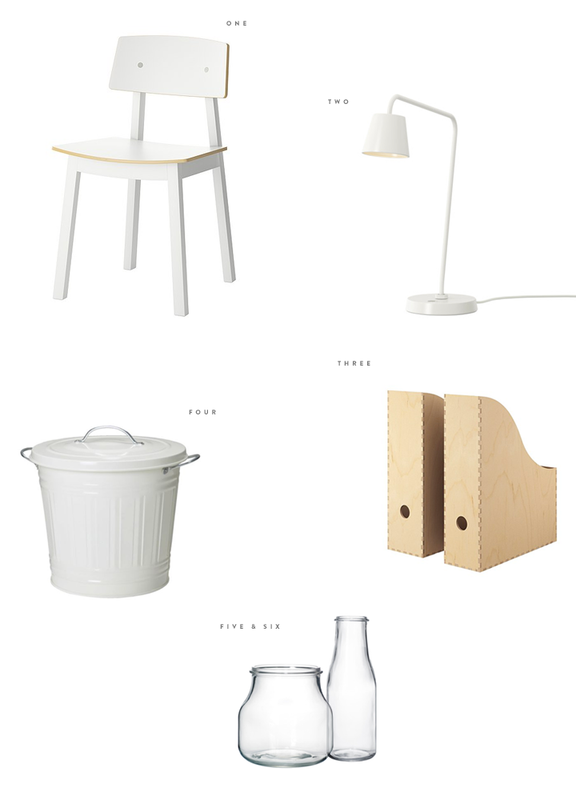 White with wood is my all-time favorite combination and here are the products by IKEA with which you can achieve it. Me encanta!! y más sencillo no puede ser…. 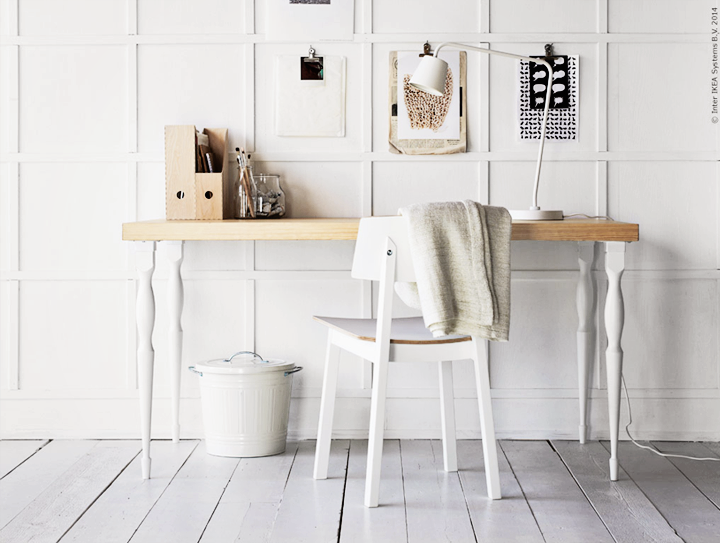 It is pretty, really like this friendly home office. Can I ask you something? Where do you take all these nice decor photos? Wow, so pretty! Never thought I'd like the legs on that table, but they look really nice. Don't forget the table legs and the table top – all available at ikea too! I wish I could work at this place !